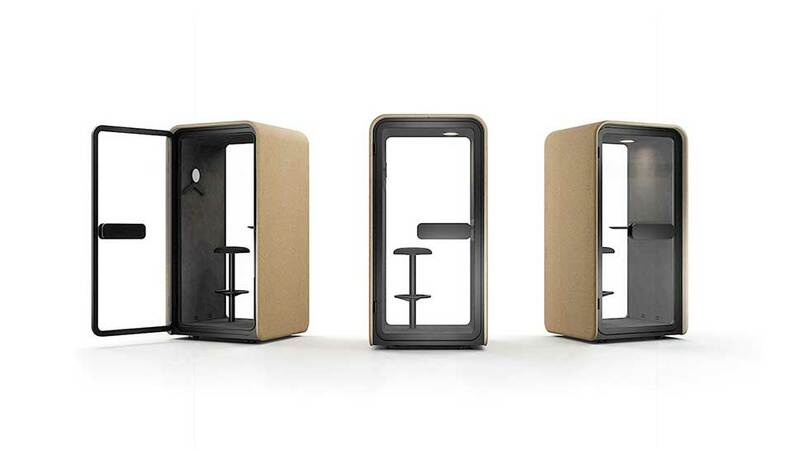 the Martela Pod family, is designed to bring a peaceful atmosphere to its surroundings. A simple but such a crucial thing. Especially at work. A peaceful soundscape can empower you to do great things: to be creative and productive. 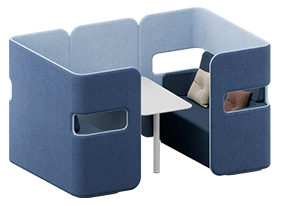 Research shows that by providing silence and privacy, you can enhance employee wellbeing and improve performance. 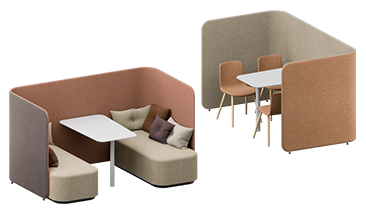 The right working environment not only makes people feel better, it also promotes creativity and increases effectiveness at work. Employee wellbeing and improved employee experience will boost company proﬁts. 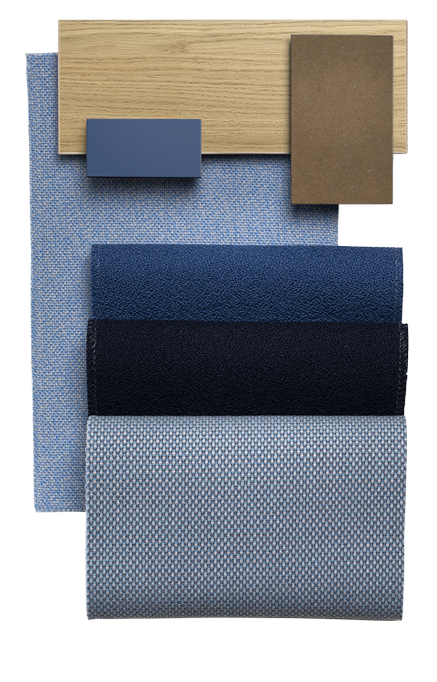 At Martela, we offer a wide selection of fabrics and other materials that can be adapted to PodBooth. 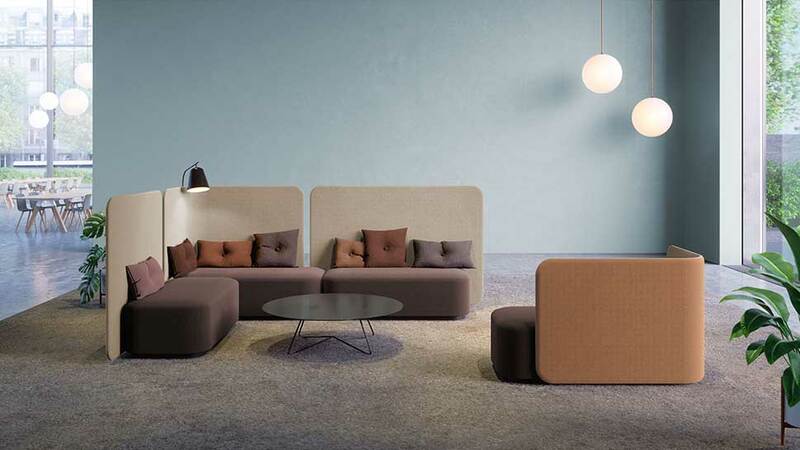 With the right kind of materials and tones, you can create a harmonious working environment for your office. 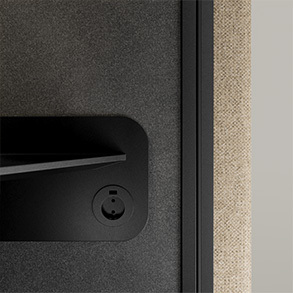 A closer look at PodBooth makes you notice how carefully every detail has been designed. The design choices have all been made with the end-user in mind. 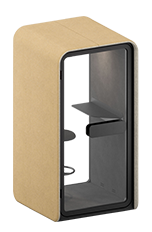 The magnet-closing door, rounded corners and the spacious interior all contribute to the user experience. 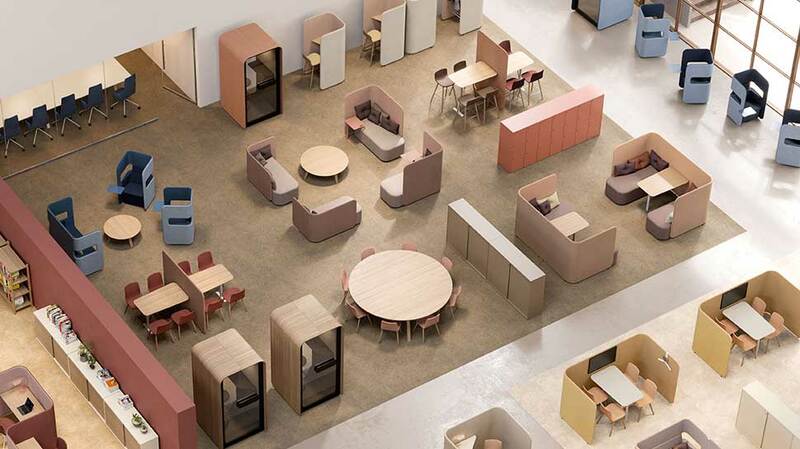 "When designing office furniture your decisions have a far-reaching impact. 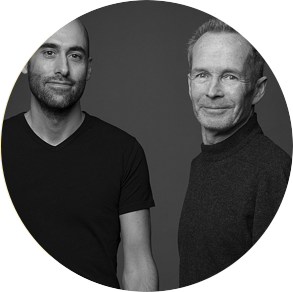 What you create impacts employee wellbeing and company performance. PodBooth is something we can proudly stand behind. 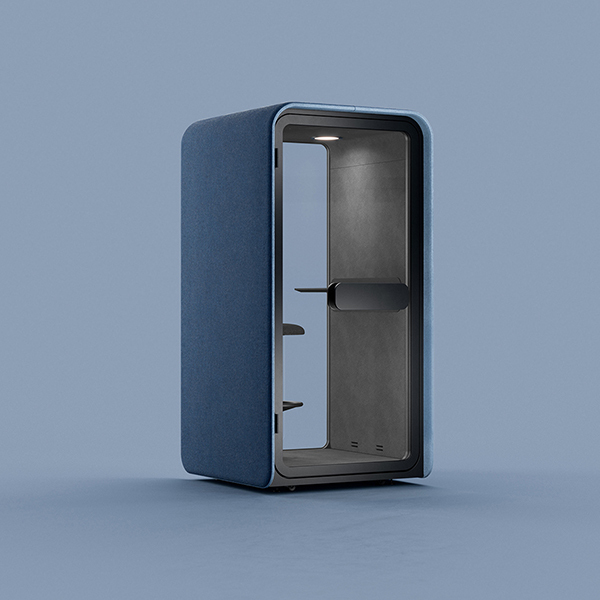 With its super quiet cabin, generous interior dimensions and easy portability, we think it is one of the best on the market, also considering quality in design and materials. We are very happy with the result!" 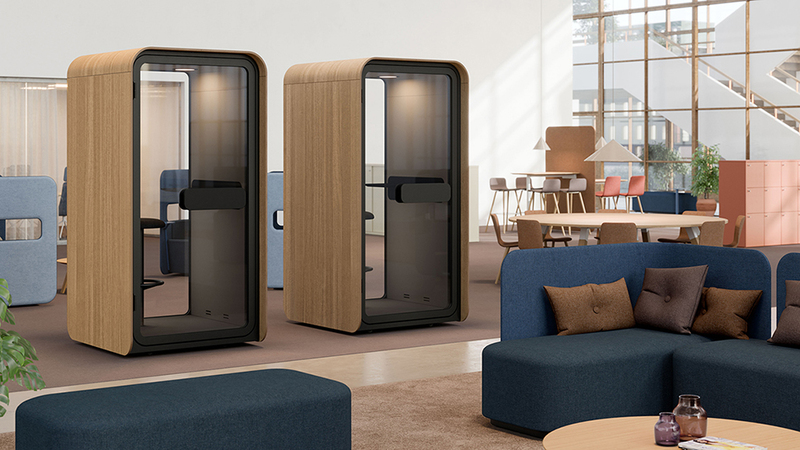 PodBooth by Martela adapts to the changing needs of modern workplaces. 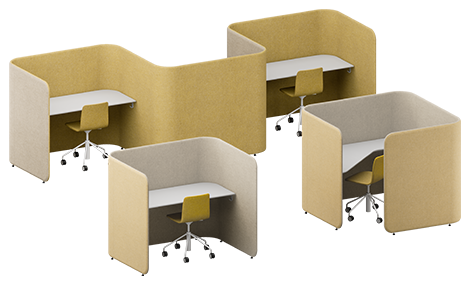 With the optional castors it’s so easy to move around that you could find a new place for your pod every day if you wanted. 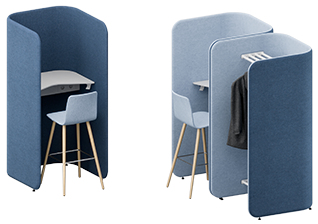 With its outstanding sound insulation PodBooth generates silence for the whole office, while creating a private space within the booth. 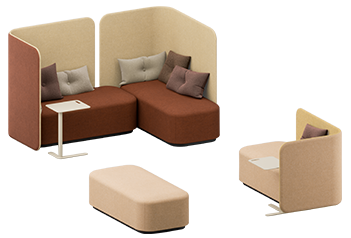 We designed PodBooth to have perfect acoustics inside, but didn’t stop there: the exterior of the upholstered PodBooth also works as an acoustic surface. 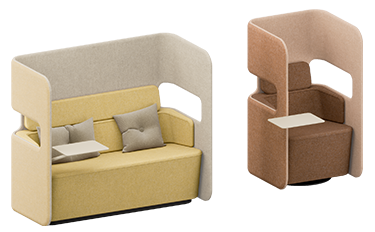 Click to download a brochure of the Pod family. Provide your contact information and we’ll get back to you. Find out how to easily add some smart features to your PodBooth. Read more about Martela’s products and services. 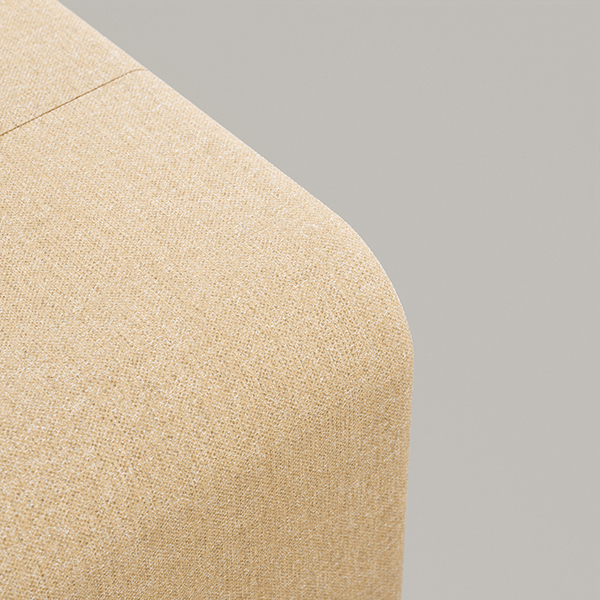 Despite the rapidly moving trends, our mission at Martela has always been to create high quality interiors that remain fresh well into the future. 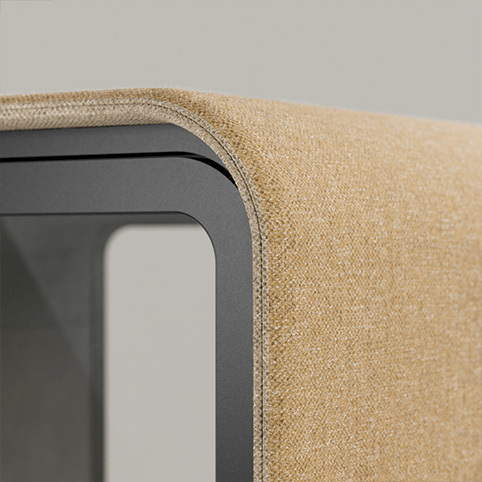 Our strong experience in working environments is what we rely on when designing our future classics. 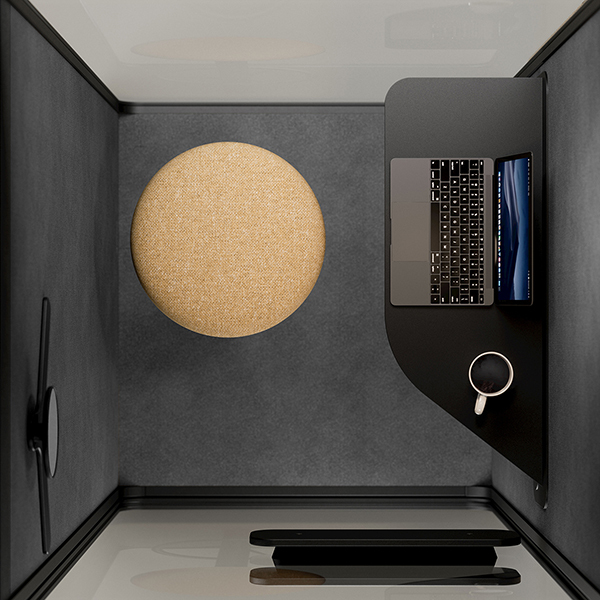 PodBooth is the new baby of the Pod family. 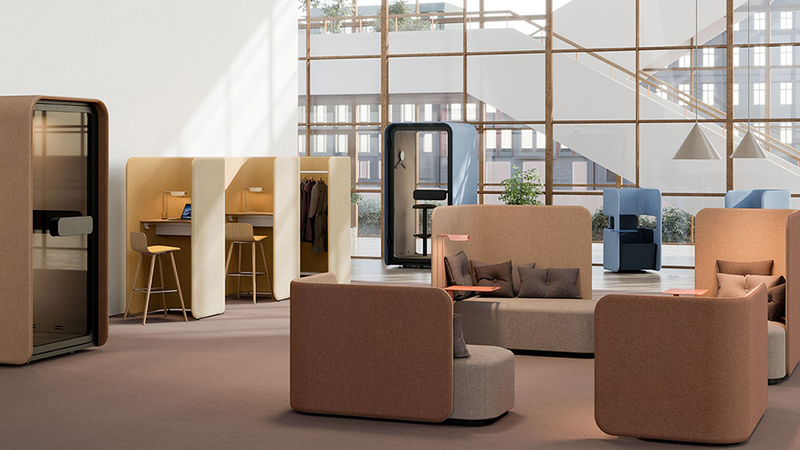 With one single product family you can create a workplace with areas for quiet and focused working as well as relaxation and spontaneous meetings.